Part of a series, this guide offers help and ideas for setting up and running a community singing group for people suffering with mental ill health (including clinical depression, anxiety, obsessive-compulsive disorders, psychological addictions, self-harming behaviour and psychosis). 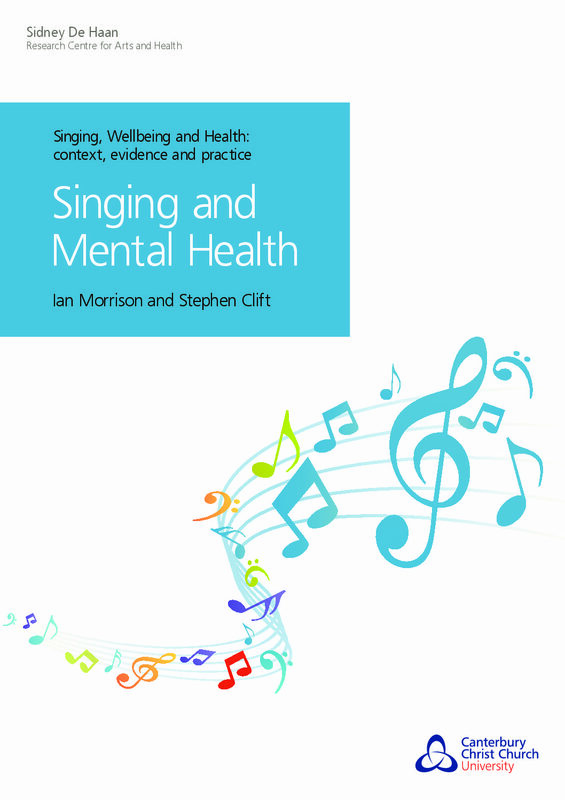 This guide provides an overview of the evidence (from case studies, research project and links to further resources) that group singing can be beneficial for mental health and wellbeing. Morrison I., & Clift, S. (2012). Singing and mental health. Canterbury: Canterbury Christ Church University.